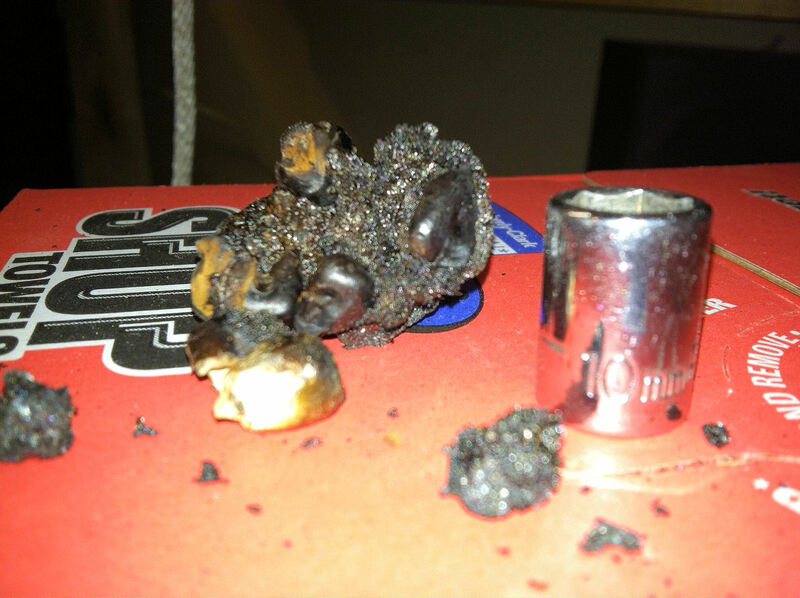 Hi All, I have briefly searched the Forum and found a couple of threads on burning smells. The smell I experienced was oil and coolant like smell, not electrical or petroleum. Please let me set the table; This morning it was -10*F in Minneapolis and while driving to work I noticed a burning smell in the cabin. I opened the window to see if it was the outside smell and it wasn't but the smell went away. About 10 minutes later it smelled again. When I got to work I popped the hood and then lifted off the engine cover and found the smell source, it appears to be coming off the turbo. I could see heat coming off the turbo and maybe a faint smoke but again it was -10* so maybe just heat. I did not drive the car hard at all, maximum RPM could not been above 4,000 because of the fear of black ice. I have never experienced this smelled before even after hard driving. On my drive home tonight it was +5*F and I did not experience the smell and believe I was waiting for it. I have 5,500 miles on the ODO thus it cannot be the machine oil used during manufacturing. My wife also complained to me about a burning smell also on a cold day but I kind of blew it off because she is always looking for something wrong, now I have to believe her because now I have experienced it. The oil was changed at 3,000 with M1 0w40, K&N oil filter and no oil was spilled in the oil fill up. Anyone in cold weather states or Canada ever experience the burning smell coming off the turbo when it was bitterly cold? I know that bitterly cold temps makes cars do funny things but I have never had a turbo charged car before my Sonata. I haven't noticed a burning smell. Not sure I'm much help but giving you feedback anyway! I finally brought the Sonata into the dealership because the smell was continuing and I could not see under the turbo's heat shield. Whatever it was, was. The Service Tech brought me some carbon, it was sitting on top of the turbo and cooked to beyond done. He cleaned it up and so far no smell. Might be the smell of the air coming out of the intercooler and pipes when you let up on the gas when in boost. Any clue as to the source of that carbon on top (the outside) of the turbo? Might be the clamp not tight enough. I second that. Would be interested in knowing the source of this. No idea, I smelled and tasted it but they were pure carbon nuggets. It was theorized that it came from the manufacturing or something crawl in died and was cooked beyond done. My wife again complained about the smell, I am going to pull the heat shield off to see if I can find a source. I need to research removing the shield. I started to research how to remove the heat shields from the back of the engine and found this thread. I thought I found the problem, nope. There was no sign of engine cover foam, glue or anything melting so I proceeded to remove the heat shield and found another source. I think I have mice, the attached photo was the chunk I found sitting in the middle of the exhaust manifold. I pulled it out and then vacuumed the rest out. The kernels appear to be corn.